Ning successfully became the first woman in the world to perform an inverted DOUBLE Straight Jacket Escape from a burning rope high up in the air! About 50 media representatives turned up to cover the stunt which also served as the grand launch for the Genting International Magic Festival (that features us in the main international show). Also present was Datuk Anthony Yeo, Head of PR, and the Singapore High Commissioner, Mr Ong Keng Yong. A few hundred onlookers also stopped to watch the spectacle. Another few hundred watched the stunt from hotel windows, the giant LCD screen next to the stage and on LCD screens broadcast through the Genting resort. The media fielded questions regarding the stunt and upcoming “Superstars of Magic” that takes place in Aug and Sept.
Daniel & Babe Ning & JC Sum & Devil & Hanis. 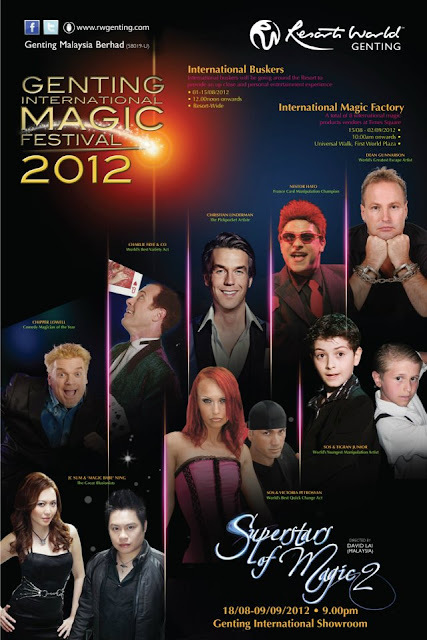 With a brand new line-up of 8 magicians, Superstars of Magic 2 is back with more amazing acts! These award-winning and world-renowned magicians will perform tricks and illusions guaranteed to boggle the mind at this special magic extravaganza. "World's Youngest Manipulation Artists" – Sos and Tigran Junior. 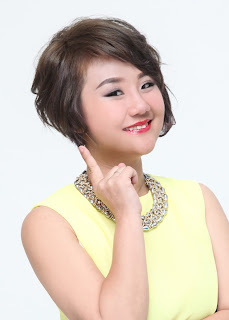 Don’t miss this parade of illusionists at Resorts World Genting. Hurry up, grab your tickets and come witness the fantastic tricks and awesome acts with your loved ones!